This is a great recipe for those with dairy or soy allergies and tastes so much better than anything you buy in a store. And because almonds are a high energy food this is a terrific start to anyone’s day! 2. 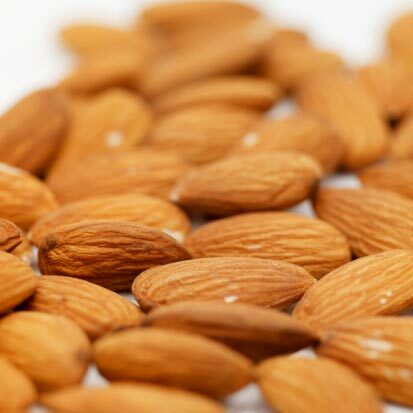 Blend on high speed until almonds are completely ground. The water will become white and frothy. Strain through a fine mesh strainer pressing on almonds to extract the excess milk. Reserve the liquid and discard the almonds. 3. Rinse your blender and pour in the reserved milk. 5. Blend until smooth and then taste. If you think the milk needs to be sweetened and a small amount (1/2 teaspoon) of agave nectar being careful not to over sweeten. Serve this with cereal, granola, or enjoy straight out of the glass!